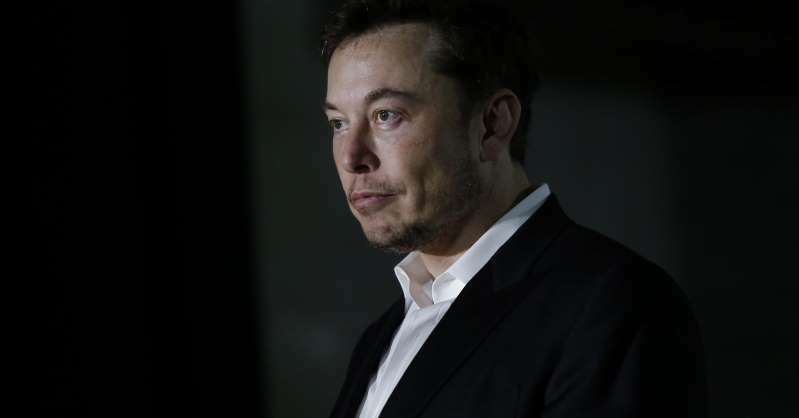 Elon Musk lashed out at a British cave explorer who blasted his idea to use a submarine to rescue a trapped Thai youth soccer team. After the explorer poured scorn on Musk's efforts, the billionaire lashed back on Twitter, but deleted those posts. Elon Musk launched into a blistering Twitter tirade early Sunday against a British explorer who helped spearhead the rescue of a youth soccer team trapped in a Thailand cave — only to delete his posts after coming under withering criticism. The flame war between Tesla's CEO and Vernon Unsworth, a spelunker who helped rescuers find the Thai soccer team, began after Unsworth made an appearance on CNN and criticized Musk's idea to use a miniature submarine. [post_ads]Unsworth, a Thailand resident with years of cave exploration experience, was unsparing in his critique. He branded the billionaire's idea as little more than a "PR stunt" and that he could "stick his submarine where it hurts." A submarine "had absolutely no chance of working," the explorer told CNN. Moreover, Musk "had no conception of what the cave passage was like," Unsworth said. Apparently stung by the criticism, Musk defended his efforts by tearing into Unsworth in unusually harsh and personal tones on Twitter. He referred to the British national as a "pedo guy" — which drew widespread condemnation on social media. By late Sunday, however, those tweets appeared to have been deleted, and Musk found himself hammered on all sides for taking on someone widely recognized as integral in the efforts to rescue the trapped boys. A spokesperson for Tesla did not immediately return CNBC's request for comment. Yet in a lengthy Twitter thread, Zeynep Tufekci, a Turkish academic and writer, called Musk's submarine idea "impractical," and chided the billionaire for thinking his success in technology gave him the expertise to dabble in other areas outside his remit. Musk has come under withering scrutiny in recent months. The billionaire has found himself embroiled in multiple controversies, many of them stemming from his omnipresence on Twitter, and constant dabbling in fields outside technology. "The idea that being smart in one domain qualifies one to just dabble in another is dangerous," Tufekci wrote. "The flashy tech solution and the savior make good movies. But what makes most things work is the quite hero/ine embedded in institutional knowledge—divers who brought decades of knowledge." --CNBC's Lora Kolodny contributed to this article.